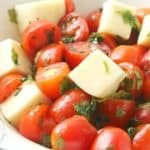 This tomato mozzarella salad is one of the easiest keto side dishes you can make! Simple ingredients with tons of flavor! A few years ago Mike’s brother gave him a tiny little cherry tomato plant. He told him that you can break off a piece of the plant and replant it to make a new plant. This quickly became somewhat of a game, and before I knew it we had 22 cherry tomato plants growing on our back porch – each producing literally dozens of plump little tomatoes. 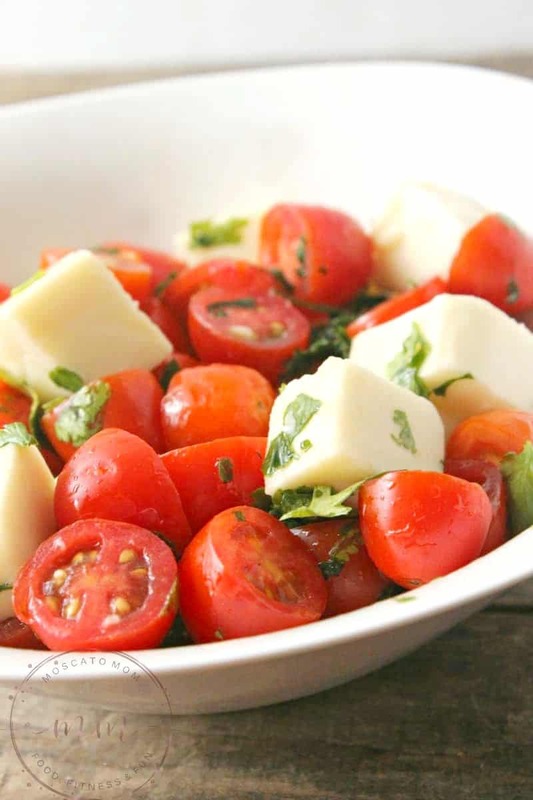 It was then that I had to get creative with cherry tomato recipes so that they did not spoil and my favorite was this simple easy Cherry Tomato Mozzarella Salad. My favorite part about this salad is how versatile it is! I prefer to use fresh basil and parsley in mine, but I have also made it with cilantro, oregano, or whatever fresh herbs I had on hand. 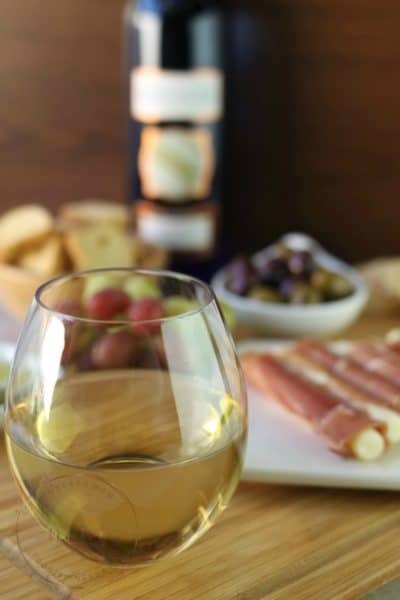 It is also delicious with a splash of balsamic vinegar! It only takes a few minutes to throw together, so I was literally able to walk outside and pick a bowl of cherry tomatoes, walk inside and within minutes I was eating my salad! We have since given away our 22 little cherry tomato plants, but I still make a point to grab a container from the store or a bag from our farmers market. 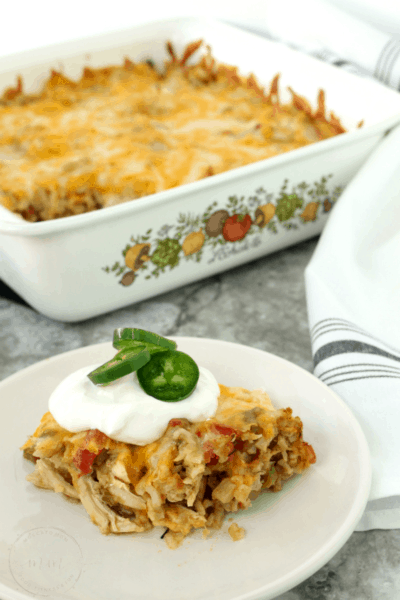 When you just need a little something fresh and full of flavor, this is the way to go! Rinse the cherry tomatoes and slice each one in half. Place in a medium mixing bowl and set aside. Cube the fresh mozzarella into bite sized pieces, add to the bowl. 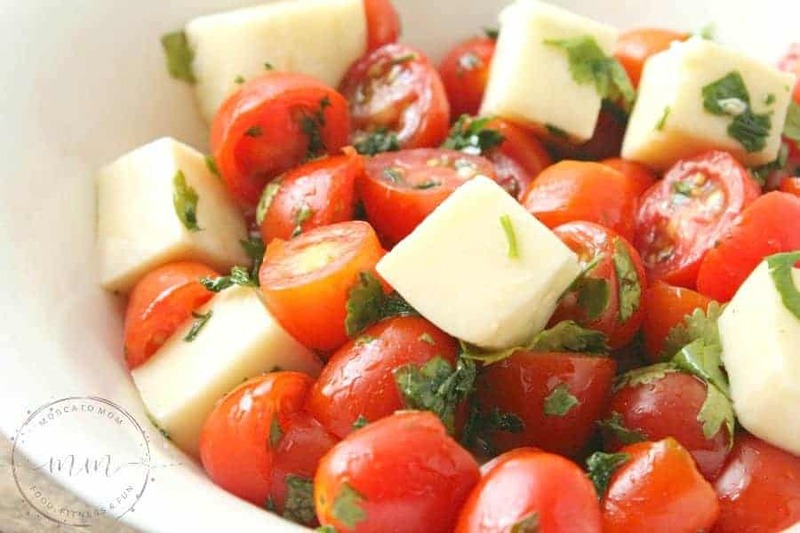 Whisk fresh herbs into olive oil and drizzle over tomatoes and mozzarella. Sprinkle with salt and pepper to taste and serve at room temperature.